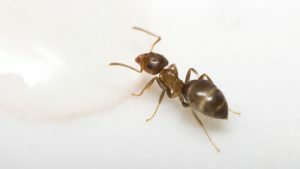 Looking for pest control expert in Greenport? Look no further than Twin Forks Pest Control. Twin Forks Pest control specializes in serving residents of the North Fork of Long Island, and the South Fork. We know the types of pests you can find such as mice infestations in your Greenport home. Twin Forks Pest Control has comprehensive knowledge in the field of pest control including rat removal, and cockroach extermination on Long Island. We have used comprehensive testing on our products to make sure that they are safe to use yet highly effective. We want to keep bugs, rodents, and other pests away from your home and we want to prevent them from ever coming back. Our pest control protection plans can help make sure of this with monthly visits from our expert staff who understand the most effective way to keep your home pest free. If you want to learn more about Twin Forks pest control services, get a free estimate, or to learn about our pest control protection plans, then fill out our contact form below or give us a call at (631) 324-9020. We look forward to hearing from you!